"A Guide to Identity and Access Management Solutions"
Enterprise organizations are embracing holistic approaches as the next logical step in leveraging identity and access management (IAM) to achieve and maintain continuous security and governance, risk, and compliance (GRC) health. Selecting the right IAM solution helps you to stay abreast in the latest developments in the field of cloud computing without sacrificing the organization’s capacity to take action. What is Identity and Access Management (IAM)? What are its major components? 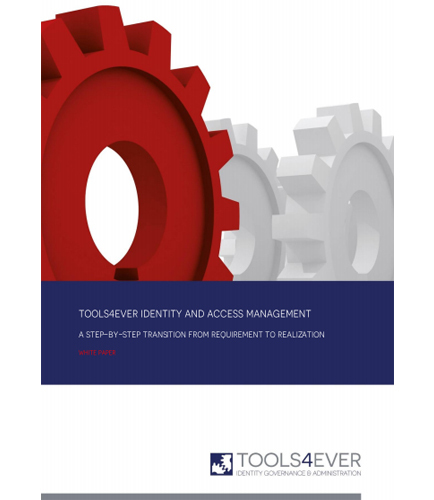 What are the risks involved with Identity and Access management? How to maintain compliance with the stricter laws and regulations in an increasingly complex IT environment with IAM tool? How to successfully deploy Identity Access Management? What business processes need to be put in place to support IAM? ​Ensure the right people have access to the right information with Identity and Access Management Services! !